Organizations are changing IT architecture to incorporate cloud computing resources that enable Agile and empower software development teams with self-service. Agile software development is winning the hearts and minds of developers and testers in leading enterprise organizations. In the “State of Agile Development” 2011 study, VersionOne highlights that 80% of the respondents from 6,042 companies surveyed have adopted Agile development practices within their organization. Nearly 50% of respondents had between two and five Agile projects underway, and one third said their organization is running 11 or more. There is a business reason for this momentum. The Agile development model enables software teams to produce higher quality software that is more in-sync with customer needs and delivers release cycles faster and more cost effectively than ever before. Unfortunately, most software teams that adopt Agile development struggle to achieve its full potential due to legacy IT challenges, especially in the enterprise. While the Agile model accelerates the software development process, many teams find that their IT environments are not optimized to support the full potential of their Agile development release cycles. These legacy environments are often too slow, inflexible, and inadequate for Agile development processes. Consider this: Typical provisioning time for an enterprise-grade development environment can take, at a minimum, from several weeks to several months. Most Agile release cycles span four to six weeks at most. Not only does a four week provisioning delay result in sub-optimal outcomes, but once created, these static environments are also difficult to change and cannot support the rapid iteration required for Agile development. Essentially, Agile development methodologies require Agile infrastructure for optimal efficiency. Leading companies are changing the way their IT teams equip and support software development teams by integrating fast, dynamic, flexible, and easily shareable cloud-based environments that are available on-demand. They are changing IT architecture to incorporate cloud computing resources that enable Agile and empower software development teams with self-service. By integrating cloud-based services into the overall IT architecture strategy, software development teams are better enabled to create, change, and scale complex computing environments as often as needed. And at the same time, IT is able to retain the full visibility and control required for security and operational governance over these environments. Enterprises that implement Agile IT architecture to support Agile development have seen provisioning of IT resources reduced from weeks to minutes, accelerating software release cycles dramatically. For example, Cushman & Wakefield, the world’s largest real estate services firm, moved its application development and test environments to the cloud. In fewer than four months, Cushman & Wakefield development teams saw application release cycles shorten and become more efficient—and they doubled the number of projects they could complete in a given period of time. When developers adopt the Agile model, software development will undergo rapid iterations before being deployed to production. Agile development teams must have the flexibility to develop and test each iteration of code as they converge on the final version of product. Often times, developers must also test their code across multiple operating systems, network configurations, and browsers for each release. Most enterprise applications require a complex multi-tier, multinetwork architecture that includes web servers, application servers, databases, firewalls, and load balancers. 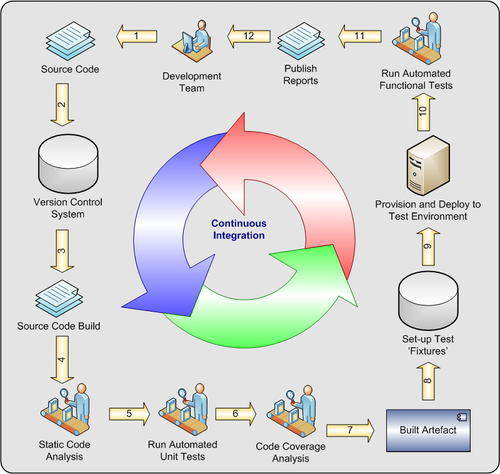 The ability to rapidly create, change, and test against these complex computing configurations is critical for Agile development speed and success. Unfortunately, most Agile teams do not have access to nimble, self-service environments that can support the high rate of change demanded by rapid iteration. Instead, progress is impeded by a variety of roadblocks inherent to legacy IT environments that are too rigid, costly, or static. Slow to provision/static development and testing environments – Developers and test engineers often must rely on IT teams for the ordering, set-up, and access to development and test environments. Once provisioned, these environments tend to be static. Under powered infrastructure – The provisioning of environments typically involves older infrastructure that performs poorly and does not scale well. Often times the development and test lab is overloaded with too many overlapping projects. Lack of test coverage – In order to reproduce production scenarios or customer-specific issues, development and test teams need to be able to change operating systems, browsers, and databases, or infrastructure parameters such CPU, memory, disk size, and network configuration. Existing data center architectures built for predictable workloads lack the agility or configurability to support the dynamic requirements to cover the full test matrix with each pass. Inability to capture and reproduce complex software bugs – When developers and test engineers encounter complex bugs, they need to be able to save the memory, disk, and network settings across multiple machines and networks, so that the development team can properly diagnose the issue, while the QA team works in parallel on additional testing. Most development and test labs do not have the capacity or the flexibility to parallelize the capture of bugs with full environmental data and continue to execute on the full test matrix. Limited sharing and collaboration – Most software development is team-oriented, and a lack of collaboration creates silos across teams and slows the release process. The challenge of collaboration and sharing is further compounded when the development, testing, and operations teams are geographically distributed with separate labs. Even more challenging is the case where constituents outside the company require access—examples include customers for user acceptance testing or contractors who perform certain test functions. IT teams using only in-house infrastructure often rely on scheduling specific shifts and resources for specific projects, and are typically unable to maintain the level of access or the pace of change required to support the multiple teams. In short, legacy IT environments are simply not designed to handle the demands of today’s Agile software development cycles and complex application requirements. Development teams are being pushed to create quality applications faster and at lower cost than ever before. Many are rightfully choosing the Agile model so they can focus on customer satisfaction, initiate rapid development, and build a culture of collaboration. But how can these teams succeed if they don’t have the IT environment required to support their goals? As discussed earlier, the goal of Agile development is to shift from a long and inflexible development process to a much shorter, more collaborative process directed toward shipping software more frequently. Self-service provisioning – Software development teams need to be able to create, change, deploy, copy, re-create, delete, and change development and test lab environments on demand, without IT assistance. On-demand scalability – Software development teams need to scale environments up and down easily. Alibrary of virtual data center(VDC)templates – Software development teams need to create a consistent version of the current release stack, prior release stacks, and customer-specific variations as templates. Within a few minutes after a hot fix issue is reported, teams should be able to create a new environment that matches the appropriate release scenario to reproduce the issue, fix it, test it, and deploy the new code. Complex bug capture and reproduction – QA and support teams need to easily create, snapshot, and clone complex, multi-tier environments when a complicated bug is identified. They should be able to capture and quickly recreate complex environments, including all memory and state information, so that the relevant development team resources can work to identify root cause and develop a fix, while the QA team moves forward with additional testing. Collaboration – Developers need to share copies of their lab environments with test engineers, other development engineers, and users. Teams should be able to organize their work in projects, invite specific project members to participate, and assign specific roles or access points to each participant based on roles (user, manager, database engineer, etc.) or status (employee, contractor, etc.). Together, these requirements enable Agile software development teams to optimize the software development model for faster, more collaborative release cycles. When the development environment they use is as Agile as their development process, they can focus on specific customer problems, quickly develop solutions, iterate with customers, and ship higher quality software faster. A typical procurement cycle requires 6 to 8 weeks to specify a development and test environment,; procure server, networking and storage hardware; and rack, configure, and test everything. That is a time-consuming, and costly process that does not match the demands of the Agile development cycle. Leveraging cloud computing resources can provide more convenient, affordable, and on-demand computing environments tailored to the needs of software development teams. By leveraging cloud computing resources as part of an overall IT strategy, enterprises can effectively extend their existing data centers and manage the cloud as an extension of their existing environment. 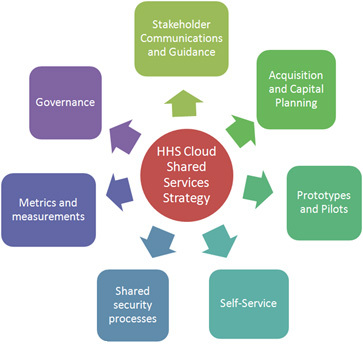 By utilizing cloud computing resources for development and test environments (rather than owning and maintaining hardware), IT can provide a higher degree of self-service for end users (developers and testers), and more configurability and scalability to support Agile requirements with much lower operational costs. Cloud-enabled solutions for development and test workloads will integrate the best characteristics of virtualization, cloud automation, software as a service (SaaS), and infrastructure as a service (IaaS) to provide a complete application lifecycle solution. Developer and tester self-service – Developers and testers can create, replicate, change, or delete entire software development and test stacks and deploy application builds with just a few mouse clicks. A cloud-based solution can better enable teams to implement continuous integration, so they can quickly execute unit and functional tests and understand how their new code interacts with the rest of the application stack. Scalability and configurability – Developers and testers can create new release stacks ondemand, in a repeatable and dependable fashion, as they go through the peaks and troughs of release cycles. Broader test coverage – The cloud can enable developers and test engineers, virtually unlimited resources as compared to in-house physical lab infrastructure, which typically struggles to keep up as test matrices grow and release cycles compress. In the cloud, development teams can easily run multiple test passes in parallel to test various OS/DB/browser combinations, as the cloud enables VDC templates to scale up or down as needed. A rich library of VDC templates makes it easy to select from a broad range environments that are ready to be provisioned with a mouse click. continue to run tests unblocked by the saved snapshot in the development team queue. Using templates in a cloud-based environment enables testers to capture the whole environment without having to write down reproduction steps. Developers can then re-use those same environments to review the bug and quickly develop patches. Set up development and test environment templates that are IT policy compliant. Create users, roles, access control lists, and set permissions. Establish a hybrid cloud architecture to securely connect the cloud environment to existing data center infrastructure. Assign group, project, and individual-level quotas for machines, storage, and networks. Track usage by month, by user, by project, and implement chargebacks if needed. Audit and ensure compliance policies are followed. Increase business agility for development teams. Ensure development ships better software faster. Boost productivity across development/test and IT teams. Lower fixed and variable costs. Agile IT empowers development teams to achieve the full potential of the Agile model. In addition, IT will be able to retain full visibility and control over cloud environments and reduce operating costs. 1 Don’tchange the Agile process to fit legacy infrastructure – change your IT strategy to be more Agile. The very essence of the Agile model is trust and delegation, and yet some IT organizations still struggle to operate with these principles in mind. They claim to support the Agile development model, but require developers to change their model to fit the existing IT processes. Successful IT organizations are flexible and work with software development teams to create an IT cloud strategy that is self-service oriented, while still providing visibility and control for IT. 2 Empower end users with self-service environments. – Enable your developers and testers by creating VDC templates specific to each development project, and providing IT services that developers can consume easily and without intervention. 3 Expect rapid changes and fast iteration to be the new normal. – Be ready to architect your cloud infrastructure to be more configurable, scalable, and flexible. An Agile development model is inherently fast paced, so be willing to accommodate change and quickly adapt to what works and what does not. Expect rapid iteration and design your cloud implementation accordingly. 4 Collaboration is at the heart of Agile development – Customers, line-of-business users, QA engineers, contractors, and support professionals should be able to collaborate during multiple phases of the development cycle. All of these stakeholders are expected to operate on the application based on the specific roles they play on the team. If the environment cannot be easily replicated and shared across teams, then the developers and testers will struggle to get the full benefits of Agile. 5 Maintain full visibility and control over IT operations. – Implementing Agile cloud infrastructure does not eliminate security and governance needs. IT organizations need to set security policies and enforce them through granular access control. They need to have full visibility into quota usage, resource management, and compliance. Developers need feedback. In Agile, near-immediate feedback is essential, and it’s generated through daily commits, continuous integration, testing, and through stakeholder input. on the development by reviewing iterations and identifying necessary modifications—before it’s too late. This ensures that the developers are building what the project owners want, versus finding out months later that it’s off track. Agile development process scalable. All automated introspection functions are easily and readily available across the enterprise. The cloud can automate feedback in all stages of a project. Here are some of the ways cloud automation can support fast feedback and provide other benefits in Development, Building, Testing, and Deployment. Automated Development in the Cloud: Continuous integration of code must begin with proper source control management to establish version control. For successful Agile development, organizations can rely on the cloud to provide distributed and easily accessible source code management to any number of developers—in less than five minutes. The cloud enables secure, 99.9% up-time availability to source code. And organizations can quickly scale up—moving from a few developers accessing the tool up to 500 or even 1000 developers without infrastructure concerns. Automated Build in the Cloud: Organizations building with Agile in the cloud can expedite their work, and reduce their build costs. First, developers can take their existing build images residing on multiple platforms and use virtualization to have those images pre-built, and then accessed through the cloud. This expedites provisioning of existing build images. Second, the cloud enables utility pricing, so that fees are only charged for the specific services and actual build time used, versus the cost of maintaining a dedicated server. Automated Testing in the Cloud: Testing in the cloud provides significant advances in speed and agility. Organizations can quickly run multi-platform testing using virtual images. In addition, they can run unit tests in parallel through cloud machines; so rather than running consecutive tests on one machine, multiple tests can be simultaneously run on multiple cloud machines. This also results in cost savings by paying only for actual test time used, and not the expense of maintaining a dedicated server or testing infrastructure. Automated Production Deployment in the Cloud: The cloud provides access to production environments in minutes, and, in some cases, push-button control to automate deployment: Leading Agile enterprise-ready cloud solutions empower organizations to export code to production in one click. Consider how important that is to supporting Agile development. In Agile, to reduce the feedback cycle, automating production deployment as much as possible is a top priority. Whether deployment is to a test machine or a demo machine staging production, fast and frequent deployment is how the technical team can receive critical feedback from the business owners and keep the project moving quickly in the right direction. Therefore, push button deployment should be made available to all developers and the Scrum Master, as opposed to IT or an operations team. Remember, fast feedback is king in Agile. And IT requests can lengthen the feedback cycle. To counteract security management concerns regarding widespread system access, sophisticated cloud solutions for Agile incorporate pre-configured, password-ready access to the deployment system.